Although the term “pipette” may seem foreign to non-scientists, pipettes are an essential tool for many laboratory research projects. That is why at Pipette.com, we offer a wide range of pipetting products, from electronic pipettes to standard mechanical pipettes, ensuring that you will boost your productivity exponentially. To be recognized as a creditable researcher, all of your experimental data must be proven accurate and repeatable through extensive trials. This demand for accurate data means that laboratory workers need reliable, quality tools to increase the speed at which they can work while at the same time remaining accurate. Electronic pipettes are a efficient tool, which improves productivity through speed and accuracy. 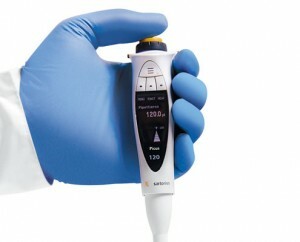 Improved ergonomics – “Using an electronic pipette requires less movement”, giving your wrists a much needed break. Increased precision – With the electronic display you can be guaranteed precision and accuracy with every use. Multiple Pipetting Modes – including auto dispensing, mixing, manual pipetting and more! 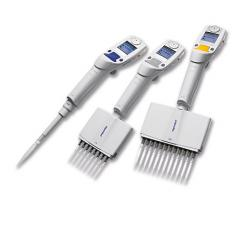 One of the best ways to increase your laboratory productivity is with an electronic multichannel pipette. Taking advantage of the benefits of these products allows you to minimize the pipetting process. 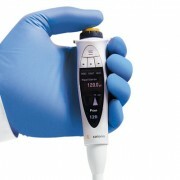 An Electronic Multichannel Pipette can increase your productivity further be reducing your time at the bench. These types of pipettes are especially ideal for PCR and ELISA procedures. How to Find the Right Electronic Pipettes for Your Lab Needs? With the amount of different electronic pipettes on the market, you may be asking yourself what sets us apart from the rest. At Pipette.com, we offer a variety of quality products that cover a wide range of benefits; whether you want an ergonomic design, a breadth of volume settings or a simple standard mechanical pipette, we have plenty of quality products that are guaranteed to suit your needs. If you don’t believe us, take a look at our full product list today to see for yourself.